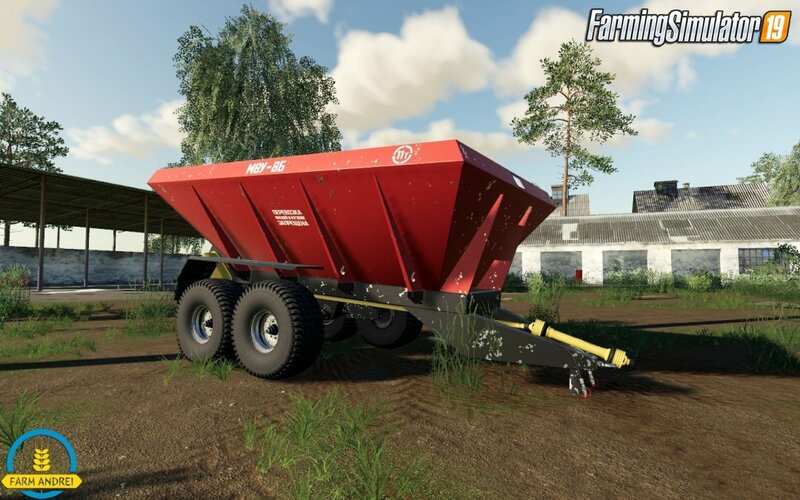 Mod Trailer MVU-8 (МВУ-8) v1.0 for FS19 | Farming Simulator 19 game. - Working speed - 15 km / h.
- Fertilizer spreading / working width: fertilizer (mineral fertilizer) - 20 m., Lime (lime) - 12 m.
- Choice of color of a frame, body, disk of wheels. - Two types of wheels: old model, euro wheels. 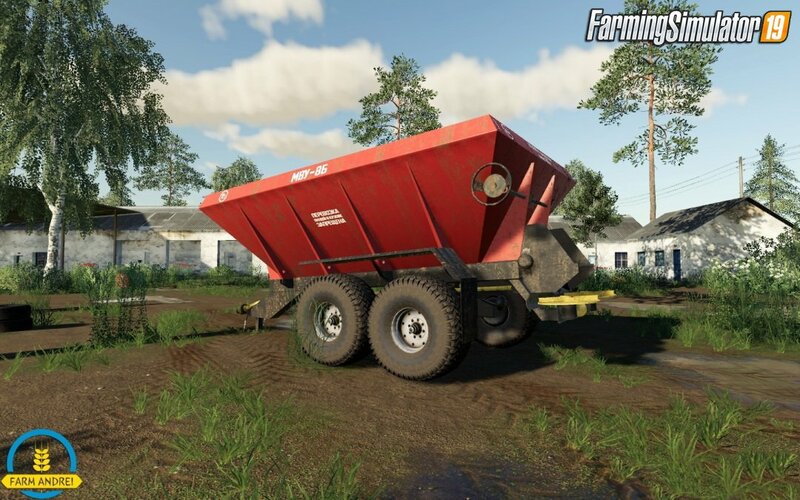 Installation instructions for «Trailer MVU-8 (МВУ-8) v1.0 for FS19» - Your first action will be to download the archive using the appropriate button below. Mods on our site are virus-free, and 99.9% have any extension other than “.exe”!